When selling, there are two basic paths you can choose to sell your home – send it to auction or offer the property for private sale, also known as private treaty. But which method is right for you and your property? At Great Ocean Road Real Estate Torquay, we continue to have strong interest in our Attunga Estate land release with 21 blocks now sold and a further 3 under offer. 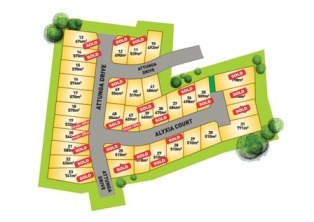 35 fully serviced blocks in a prime central Torquay location – 459m2 to 798m2 – priced from $227,500 to $315,000. Making the decision to purchase a property is an exciting time, but it can often come with a little anxiety. Don’t stress. The process doesn’t have to be daunting. If you have a plan of attack, purchasing a property can actually be an enjoyable process. So how should you prepare? First Home Buyers in Victoria Lowest in 23 years – Research Obtained from RPData. From a first home buyer perspective, there is something very wrong with the housing market in Victoria. In February, the most recent data available from the Australian Bureau of Statistics (ABS) showed that the total number of dwellings financed for first home buyers had sunk to a 23 year low.